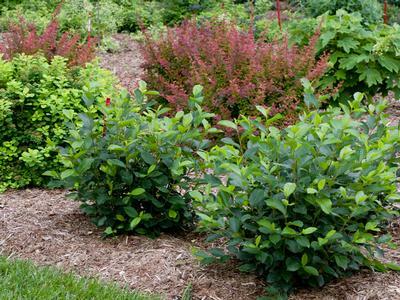 Low Scape® 'Hedger' Black Chokeberry ('UCONNAM166') is a selection of our native Aronia, chosen for its compact upright habit. 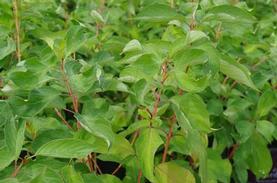 In mid spring Low Scape® 'Hedger' produces a quantity of showy white racemes held above the lustrous green foliage. 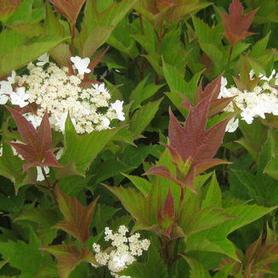 During the summer the dense habit makes a good choice for short hedges. 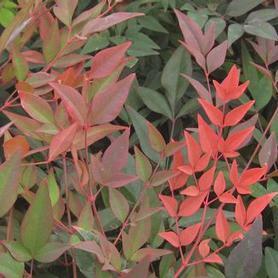 In the fall the leaves turn striking shades of orange and red, brightening up the landscape for a prolonged period before dropping. Fruit production is limited, but native pollinators benefit. Developed by Dr. Mark Brand and Dr. Bryan Connolly of U. Conn.